I graduated from Foster School of Business at the University of Washington. As a student I had multiple retail jobs and a few weird and different jobs here and there. I worked as a sales rep at Abercrombie & Fitch, and Macy's. I also worked as a tax preparer at Liberty Tax and as a pharmacy technician at Albertsons. I always had a job ever since I turned 16. I like to work for my money and keep busy. I also like to learn new things, this is how you find out what you like and don't like. One thing that always remained constant from growing up was my fascination with clothes and how I looked. I always wanted to wear the latest trends even in kindergarten! I would point out the shoes on girls from my classroom that I wanted my mom to buy me and always wanted new outfits for church and all of the holidays. I hated the fact that I had to wear uniforms to school in Puerto Rico because the only way to differentiate yourself was through your hair accessories, jewelry, shoes, and socks. I made sure I was wearing the latest though! One christmas I asked my parents for a toy register from Toys "R" Us. The register had a counter and a bar code scanner. I loved this thing! I would make my poor little brother be my pretend customer when my friends weren't around and he would get sick and tired of playing with me after 5 minutes! I then had to play by myself and talk to myself but I loved every bit of it! Right out of college I didn't end up working in fashion or retail. I ended up working for Unum, an insurance company in NY city. It was a great job out of college! I loved my team and management team. I stayed with the company for about 3 1/2 years and had a new role every year. I started this fashion blog in 2012 while I was working at Unum because something inside of me felt like I needed to do something about what I really felt passionate about which was fashion! And come on…I was living in NY City! I would ask for media passes at events, sometimes get in however I could, it was fun! It kept me current with the trends and pushed me to do more research. In December of 2012 I got engaged to the love of my life and college sweetheart and then moved to San Francisco, CA in May of 2013 due to his job placement. I then used the move to follow my passion and landed a Marketing Manager position at StylSavvy, a Fashion Tech startup. I learned a lot here! We were a team of 3 women on a mission to put the fashion shopping iPad app that the founder and CEO developed on the map. 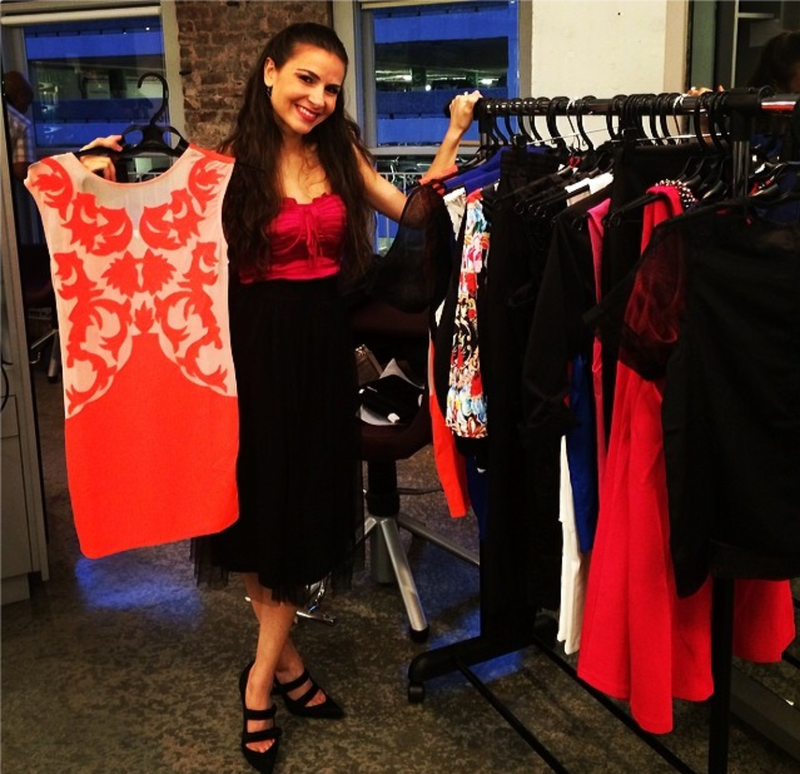 I was with StylSavvy for about 8 months when I then decided to launch my online fashion boutique! A dream come true and I couldn't have done it without the full support of my husband to be. Thank you Luis for believing in me and for being the rock in my life. This pretty much sums up my story. As for LiveLoveModa, I designed my website, all of the logistics, and legalities. I have had many sleepless nights but it is all worth it! I thank the people that have allowed me to pick their brains for best practices and my experience with StylSavvy. At LiveLoveModa I go through thousands and thousands of products from multiple brands and distributors to only hand pick affordable, versatile, and on trend pieces that are timeless. Everything I choose to sell is a timeless piece that I would wear. Shipping is only a flat $5 and we ship to all US. I hope that you like my pieces and please feel free to send me ideas and product recommendations. I made my website very user friendly specifically for this. This is how I styled my whole collection! I am wearing everything in size small. Congratulations on launching your boutique. Your story is inspiring so I hope you continue to share it. Congratulations Keily! Such an inspiring story! I love your style. I love the cobalt top, so simple and stylish and I love colours. My favourite is the orange mesh dress, you look great! Hi! Please do and tell your friends ;) More new pieces coming soon! Follow us on Facebook, Twitter, and Instagram for news, events, pictures, and styling suggestions! This is so exciting, Keily! So excited to follow along on your journey and I know you'll do great. Congrats!! Awww thank you Chelsea! Thank you for the fabulous pics ;) XOXO! I just purchased your beige lacy tank top. I love it! It is so cute. Can't wait to wear it with some jeans. The web supports many different means. One particular merely has to be watchful inside job search engine, find jobs opportunities that they is actually interested in since there are several scams. Congratulations on creating your own website! It must have had produced a lot of sleepless nights, but seeing it off the ground must make you proud. Since you were involved in a tech start-up, you must have learned the ins and outs of having a strong online presence. Seeing that you have set up social networking accounts is evidence of this. The next step is getting more people to visit it. Good luck! Wow very nice blog dear! Hello there, lots of good information on your blog thank you for sharing this blog with us. I’d like to share some useful links with you on modest clothing for your upcoming blogs, I believe this would help you to write more inspiring & awesome content on trending apparels. Have a great day ahead & once again dear thanks for sharing this lovely blog.